I want to welcome Nina Croft to Books R Us. Nina is the author of Break Out (Blood Hunter) a Paranormal/Sci-Fi romance. Thanks for stopping by. Break out is a mixture of sci-fi and paranormal romance, and there were actually two things that inspired it. The first was watching the sci-fi series Firefly for about the third time. I love the series and I decided I wanted to write a space opera, because they’re fun and absolutely anything can happen. The second was a serious case of paranormal deprivation. A while back, my husband asked me—why didn’t I write a good book? By ‘good’ he actually meant without any romance, vampires, werewolves or aliens. So, I wrote him a thriller, which I loved doing (it’s called The Descartes Legacy and will be out early next year!) And while a little (okay, a lot) of romance sneaked into it and maybe just a little bitty alien, there were no vampires and no werewolves, and by the time I’d finished writing I was in desperate need of a paranormal fix. So when I started plotting Break Out, and the pilot of my space ship turned out to be a vampire, I wasn’t too upset and actually welcomed him with open arms. So there I was – vampires in Space. I go through stages where I find it difficult to get the words down. When that happens, I tend to just force myself to work through it. Usually though, I’ll give myself a change of scenery and perhaps try a different method from typing into my laptop. I’ll maybe take a notebook into the garden or up the mountain or… and I’ll write longhand for a change. It usually gets me going again. 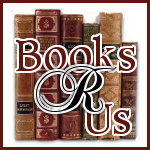 I always knew that Break Out would be hard to find a publisher for, because it’s such a mixture of genres: sci-fi, romance, paranormal. I’d had another book accepted by Entangled Publishing through a pitch competition on the Savvy Authors site (that book was Bittersweet Blood, a paranormal romance to be released this December). I’d loved my dealings with Entangled up to that point and so when I saw that they were actively seeking space opera submissions I thought why not—maybe they’d like my space opera with a vampire. My manuscript found its way to Liz at Entangled who got back to me within the day. She asked me if it was part of a series, and if it wasn’t could it be? It was one of the nicest days of my writing career! 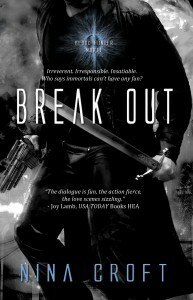 Break Out was first released last July as a novella. The first draft took me probably a month to write and then another to edit. It was accepted in April last year and released in July so things moved pretty fast. I tend to have a few things on the go at once. I’m contracted to write another three Blood Hunter books so I’m planning those, but right now I’m working on a paranormal romance, a sequel to my December release, Bittersweet Blood. Write what you love, because that’s what will sustain you when the going gets tough—which it will. This is so hard. I think as writers we get such strong images of how are characters look that it’s hard to accept a real person. But I think for Rico, maybe a young Antonio Banderas (Rico is Spanish) or maybe Ian Somerhalder (I’ve just started watching The Vampire Diaries!) he could pass for Spanish. I live on an almond farm in southern Spain with my husband and a whole load of animals. So when I’m not writing, I’m usually either walking the dogs, riding my horse, Gencianna, or lying under an almond tree reading. We used to travel a lot before we moved to Spain, and we loved getting off the beaten track. We visited Africa, India and South East Asia. But we don’t really get to go on holiday anymore, it’s just not possible because of all the animals, so we spend holidays at home. But as we live in a spectacularly beautiful part of the world, that’s not really a hardship. I have to say that I like this type of book. I am an avid reader,and I liked the story line for the interesting intrigue! I like that man goes to outer space and only a few find immorality! Sounds so interesting! This type of read is intriguing to me! I'm going to get it on my Kindle...I think I'll like it!